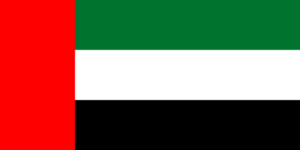 UAE is one of the richest countries of the world. There are many foreigners living in the country and there are many Arab people living there. If you would like to meet them on Omegle, it is not going to be easy for you since the ISP companies has banned Omegle in the country. If you are from UAE, you can click here to check how to bypass this block. You will able to meet people from different countries while you are searching for people who are living here. Omegle is a website which you won’t need to register. All features are free. You won’t find many online people from this country on the website but you will still meet people from other countries. There are three ways to meet these guys online on the website. These ways are language options, using some interests manually and using Facebook likes (requires a new Facebook account). Let’s see how you can do it. Take a look at top of the website. Go “Select Language” and select “Arabic” from options. Remove mark from “Add my Facebook likes as topics”. Mark “Find strangers with common interests”. Add “UAE, Dubai, Abu Dhabi, Sharjah, Ajman, Fujairah, Al Ain” to interests manually. Create a new account on Facebook since you shouldn’t have any other interests if you don’t wanna meet people from elsewhere. Like any page which are related with “UAE, Dubai, Abu Dhabi, Sharjah, Ajman, Fujairah, Al Ain”. Enable “Add my Facebook likes as topics”. Go to chat with people.